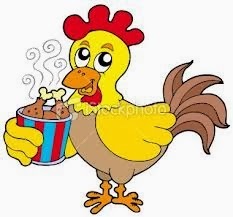 Story: Chicken, Chicken, Chicken - Something New Everyday! "Most likely, you have fried chicken today"
"Why don't you ask your wife to give you something else for food which can keep your body healthy"
"I am unmarried, I pack my lunch myself"
"What !!! XoYz%*&%$O %$## ! @#%% "
Flash:This story might look strange but this is how we give mental food to our brains on daily basis. If we co-relate this story with a bad event of the past which we remember again and again, we are giving a special food called "Stress" to our mind on daily basis. 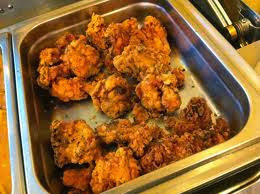 Considering the fact that eating fried chicken on daily basis can lead our cholesterol levels towards danger zone causing chronic heart disease, can't we just think with common sense that giving stress to our brain and heart we are seriously impacting our body developing Sugar, High Blood Pressure, Heart blockage, Asthma, Anxiety and God know how many other diseases in the long run !!! So the choice is ours. Either we keep feeding your brain the germs of negativity and stress OR develop the power of not looking back and start living in today. Remember the fact that life never stops. People who live in their past, stop living in earth – or simple die soon. So we must exert our energies to bring something positive and fruitful today which can bring happiness in our life or in our loved ones' lives. About the problems we should develop the MGTD attitude: which means Meet them (confess the situation with no fear), Greet them (think positively), Treat them (focus on solution) and finally Defeat them (do practical things for eradication). Nice story with a meaning. Masha Allah your quotes, ,references and articles are very interesting and valuable.